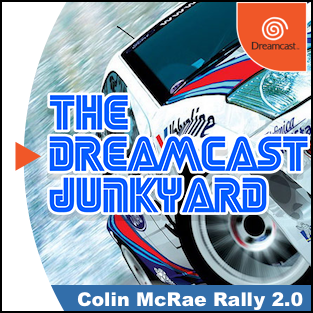 Colin McRae Rally 2.0 for Dreamcast is a game that vanished from release schedules faster than Lord Lucan disappeared after his children's nanny was bludgeoned to death. As a massive fan of driving games, and rally games in particular, when it was canned I really did feel dejected. The PlayStation Colin McRae games are still some of my favourites in the genre (we don't talk about DiRT: Showdown) and the thought of being able to enjoy a graphically superior port with added gameplay modes excited me no end. Alas, Codemasters decided that work on the game would be cancelled and with that the dream of a proper rally simulation on the Dreamcast died. 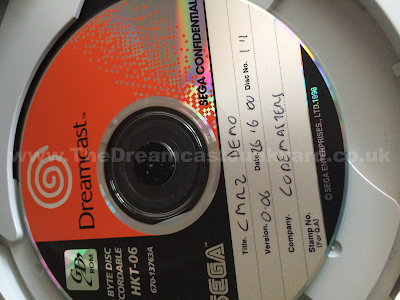 Widely thought to be a 'lost' Dreamcast game, Colin McRae Rally 2.0 for Dreamcast has been the stuff of forum rumours ever since, but I am thrilled to announce I have had the pleasure of sampling the game...and I took footage to prove it. It's in no way complete (around 30%) and there's not a lot to it - just one track and some options (plus it requires a specific VMU to run) - but it is playable and apart from some slowdown is every bit as good as you would expect. Before people start bitching at me to release it - I don't own the GD-Rom, and I have no way of releasing it. I also endured a 5 hour round-trip through horrendous traffic to get this footage, so know that I suffered to get this for you! Anyway, here's the video - enjoy a glimpse of what could have been. 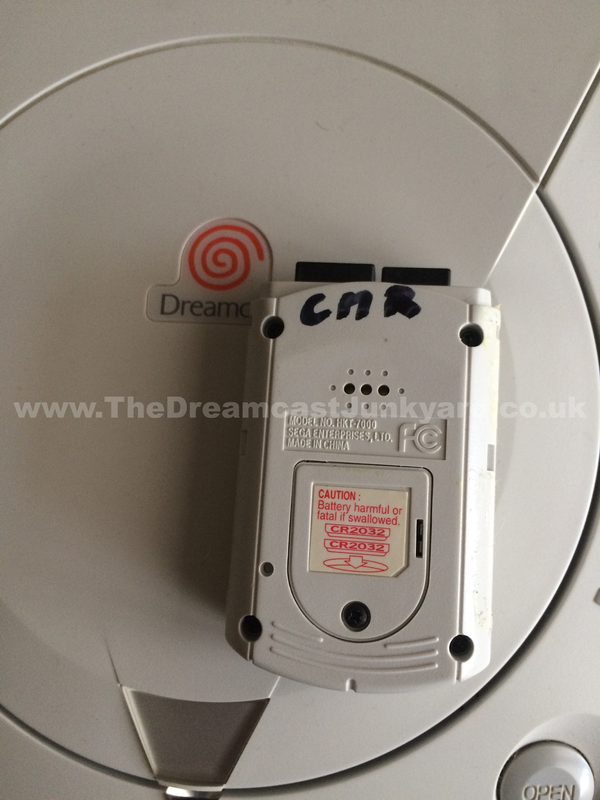 Update: A couple of people have asked, so here are some images of the GD-Rom and the VMU. The game runs using a system disc and wont run without this and the VMU file. For those who are unfamiliar, a system disk is a sort of 'boot disc' for pre-production GD-Roms and it loads to a very basic menu, quite similar to something you would see if you use an import enabler, and then you replace it with the game you want to run. Feel free to share these images but please give credit if you do, and leave the water mark in - don't go cropping you scoundrels! Lastly - one final note. The guy who has these games isn't keeping them from the community out of spite or selfishness. He merely has them in his collection as he (in his own words) 'rescued them out of a skip' in the final days of the Dreamcast. Let's just be thankful that he did or they could have been lost forever. There are no plans to release them any time soon, but if this changes in the future, you'll find out here first. it's odd that suddenly you have all this access. I can't wait to see what else is around! I loved this game when it came out on the ps1. I would have spared no expense to get this game if it had been released. Another missed opportunity for greatness. Wow that game looks great. What a shame. This has to be released, what's the point of not releasing it? Anyway thank you very much for the footage!!!! The legalities are not clear yet - Codemasters still exists so that's a major stumbling block. This must be released for preservation before it is lost forever as I assume it is the only copy available. Wow, what a find! Makes you wonder what else this dude has in his posession. Tom, are you gonna get to see more of this guys collection in the future?